A discredited voice recognition system was used in scores of secret court cases which are now being disputed. Photo by Lotus Carroll on Flickr. You can now sign up to receive each day’s Start Up post by email. Or just read it online. Choice! 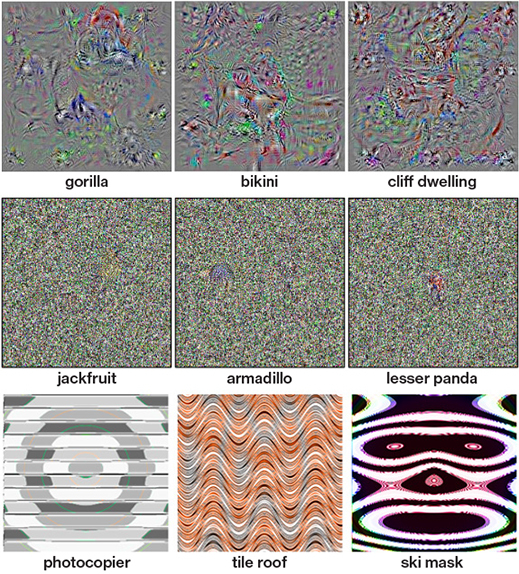 A selection of 10 links for you. But is that 10 in base 10? I’m charlesarthur on Twitter. Observations and links welcome. »Anne Carter had her Tesla Motors Inc. Model X sport-utility vehicle for a few days before the $138,000 electric vehicle suffered a mechanical malfunction. During a very critical time for the pioneering electric-car maker, its well-to-do customers are confronting not only problems with the Model X’s rear doors but other issues, including a seat latch the company has recalled. Making cars seems to be really pretty difficult. »Nvidia chief executive Jen-Hsun Huang announced that the company has created a new chip, the Tesla P100, with 15 billion transistors for deep-learning computing. It’s the biggest chip ever made, Huang said. Huang made the announcement during his keynote at the GPUTech conference in San Jose, California. He unveiled the chip after he said that deep-learning artificial intelligence chips have already become the company’s fastest-growing business. Nvidia previously launched its Tesla M4 and Tesla M40 deep-learning chips, and those chips are selling fast. Now the Tesla P100 is in volume production today, Huang said. Maybe Intel could focus on GPUs instead of CPUs? Seems to be where the business is heading. »From what we’ve been hearing Polaris is no exception. In fact our sources have confirmed that the major OEM design win that we had reported on last year is indeed for Apple. The Sunnyvale, California based chip maker secured wins for both of its upcoming Radeon 400 series 14nm FinFET graphics chips, Polaris 10 and Polaris 11. Previously known as “Ellesmere” and “Baffin”, both of which are Arctic Islands. The chips have since been renamed to Polaris 10 and 11 respectively, in line with AMD’s newly adopted Astronomy based architectural code naming scheme which Koduri had instated after the Radeon Technologies Group was established last year. The Polaris 10 and 11 chips will go into new desktops and notebooks from Apple, which the company plans to bring to market later this year. And although these Apple design wins may not be significant volume contributors they are very profitable. That’s going to make for an interesting WWDC in June, then. These Radeon GPUs would be capable of VR work, apparently. »Research by Cable.co.uk has revealed that two thirds of fibre broadband customers on BT’s Openreach network – which services around 80% of the UK’s total broadband customer base – are unaware their so-called ‘fibre’ service arrives at their home through a standard copper telephone line. This is important, because the speeds available over copper reduce drastically over distance, severely limiting both current speeds and future upgradability. Experts, speaking to Cable.co.uk, labeled the way the term ‘fibre broadband’ is widely used in the UK ‘misleading’ and compared the situation to the horsemeat scandal. This comes just days after the Broadband Infrastructure Group (BIG), a cross-party group of MPs led by Grant Shapps, demanded an end to what it described as a “mis-selling” scandal potentially bigger than PPI and Volkswagen’s emissions tests. …Perhaps the seminal bubble-popping event was John Carreyrou’s October 16th investigative analysis of Theranos in the Wall Street Journal. John was the first to uncover that just because a company can raise money from a handful of investors at a very high price, it does not guarantee (i) everything is going well at the company, or (ii) those shares are permanently worth the last round valuation. Ironically, Carreyou is not a Silicon Valley-focused reporter, and the success of the piece served as a wake-up call for other journalists who may have been struck by Unicorn fever. Next came Rolfe Winkler’s deep dive “Highly Valued Startup Zenefits Runs Into Turbulence.” We should expect more of these in the future. Every VC I watch on Twitter has gone bananas about this post, which warns that “the game has changed”. Meanwhile, notable that the two articles Gurley points to were in the paywalled Wall Street Journal. How the star performer morphed into one of Sony’s biggest drags can’t be fully explained by external factors. For sure, the global mobile market is slowing, but smartphones are still posting growth, especially at the high end, as consumers are prepared to pay more for quality components such as cameras. Declines in the PC and digital still camera markets can’t account for the sudden reversal in fortunes, either: That’s been a theme for a few years. That leaves internal factors. If this truly is a macro problem, then the sudden writedown bears a whiff of incompetence. If, on the other hand, Sony lost a key client, that says something about its ability to retain big customers, or its dependence on too few. Feels like it must have lost a key client in the smartphone space. But who, and to which rival? »The case also saw Dr Harrison, an expert in voice recognition, dismantle the claims about fraud – and their ability to test for fraud – made by the Home Office and ETS, the firm who ran the test. What he said was equally applicable to all the other cases where people had been wrongly accused of fraud. The evidence the Home Office relied on was identical in all cases, so knocking it down for one should knock it down for all. But it won’t, because the reporting committee is refusing to report it. The decision means that the case cannot be cited, except under very strict and laborious conditions, in other appeals. It means many thousands of people who have been unjustly deported will not even know of its existence. The decision makes the ruling against Theresa May legally useless. It’s as if it never happened. The reporting committee has taken a damning judgement against the home secretary and buried it. Dunt only refers in passing to the voice recognition stuff. ETS apparently had a contract with the UK government to find impersonation – but it “decided not to renew the contract” after the BBC exposed evidence of fraud at two of UK-based centres using the software. ETS blamed “dishonest activities of third-party contractors”. It seems the expert witness blamed ETS. »Google relied on Campbell to sort out tempests caused by imperial engineers burdened by oversized egos that prevented them from collaborating. This happened with Andy Rubin, the entrepreneur who created Android and built it into a resounding Google success. The Android team under Rubin was massive. But, as I learned through numerous interviews while writing a book about the company and in later conversations with Google executives, Rubin tended to trust only members of his élite team, and fought with other top executives, including such original Google employees as Salar Kamangar, who supervised YouTube, and Alan Eustace, the head of engineering. The weekly meetings of senior Google executives were filled with tension and discord. Executives became so dispirited by what they saw as Rubin’s dominance that they threatened to quit. Campbell advised Larry Page to make a choice, and to the relief of senior executives Page chose to remove Rubin. Campbell had earlier warned Page that Marissa Mayer, the talented engineer who went on to become the CEO of Yahoo, had a similar my-way-or-the-highway approach, which also led to her demotion to a position where she no longer reported to the CEO. Campbell knew that a lack of empathy often translated into an inability to listen. Campbell had an outstanding ability to listen, as Auletta shows. Clearly he will be sorely missed. »The new feature is available in the latest developer version of the Opera browser for Windows or OS X. You just go to Settings on Windows or Preferences on a Mac, then toggle the VPN on in the Privacy & Security section. Bingo, you’re browsing over a virtual private network and you mask your IP address to dodge firewalls so that you can view content that you’re unable to from your current country or office. As well as all the other responsible things that a VPN can help you with. “Virtual locations” only in the US, Germany and Australia at first. Which means this will become the “Netflix browser”, until Netflix blocks the Opera VPN IPs. Even so, I have to wonder: what’s the catch? How does Opera benefit from this? Running VPNs isn’t free, or trouble-free. Am I the only person who has this reaction when free stuff is proffered? »Xiaomi sold 14.8m smartphones globally in the first quarter of 2016, a notable decline from 17.5m in the last quarter of 2015. The new figure comes from research by IHS Technology, and the Q4 number from Strategy Analytics. Tech in Asia reached out to Xiaomi about these numbers, and the company declined to comment. The number shows that Xiaomi’s slowing growth in 2015 is turning into its worst nightmare in 2016: falling sales. Xiaomi sold 70 million smartphones last year. These aren’t official Xiaomi statistics, and reports compiled by research firms are best treated as estimates. But even providing for a hefty margin of error – and keeping in mind that Xiaomi has said it wants to move away from “goals such as smartphone sales” and isn’t likely to publish Q1 stats – the figures show a company that will need to improve its numbers if it aims to grow its smartphone department at all this year. Sequential quarter comparisons (especially from 4Q to 1Q) are rarely meaningful, but the year-on-year comparison is still down: Xiaomi shipped 15.3m in Q1 2015, from the figures I have. A Nest thermostat: malfunctioning, but what about privacy? Photo by Elvert Barnes on Flickr. During the committee session [in the UK Parliament] [home secretary Theresa] May was asked to clarify the implications of the draft bill’s wording for encryption. Various concerns have been raised about this — not least because it includes a clause that communications providers might be required to “remove electronic protection of data”. However the clarity the committee was seeking on the encryption point failed to materialize, as May reiterated the government’s position that the expectation will be that a lawfully served warrant will result in unencrypted data being handed over by the company served with the warrant. “Where we are lawfully serving a warrant on a provider so that they are required to provide certain information to the authorities, and that warrant has been gone through the proper authorization process — so it’s entirely lawful — the company should take reasonable steps to ensure that they are able to comply with the warrant that has been served on them. That is the position today and it will be the position tomorrow under the legislation,” said May. Shorter version: we’re going to block your VPN. For many years, it looked like Thunderbolt was destined to be a modern version of FireWire: faster and smarter than contemporary USB interfaces, but so rare outside of Macs that there isn’t a very wide range of accessories beyond adapters and external hard drives. Thunderbolt versions 1 and 2 are available in most Macs sold between 2011 and now, but it has been included in just a handful of PC laptops and high-end motherboards. Thunderbolt 3 is turning that around. The port is suddenly beginning to show up in high-end offerings from just about every major PC OEM, starting with some Lenovo workstation laptops and Dell’s new XPS lineup and continuing in laptops and convertibles from HP, Acer, Intel, and others. We’ve been talking to the PC companies at CES about this sudden turnaround, and their answers have all been in more or less the same vein. The increased speed of Thunderbolt 3 combined with all the benefits of USB Type-C (including driving displays via Alternate Mode and charging laptops via Power Delivery) has finally made Thunderbolt convenient enough to be worth the trouble. 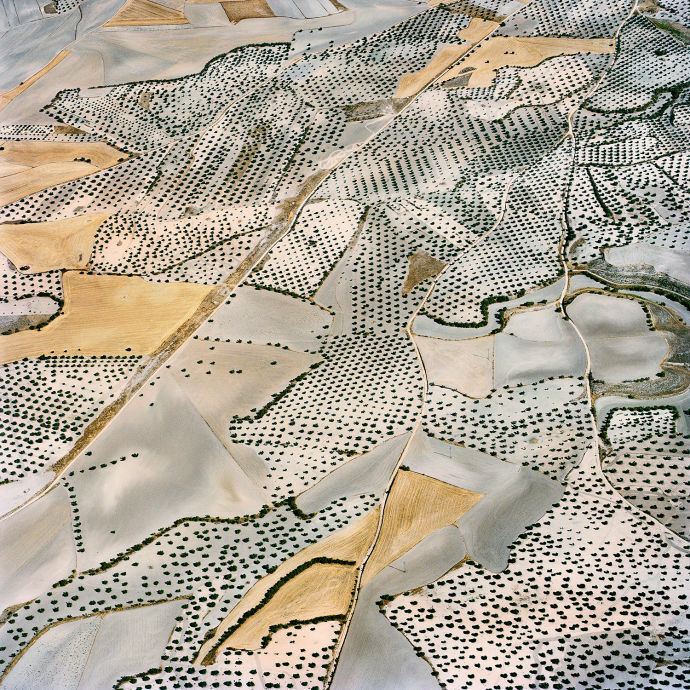 David Maisel’s aerial photographs of Toledo, Spain, and the surrounding La Mancha region, some of which will be on view at Haines Gallery, in San Francisco, through March 12th, can make Earth’s surface look more alien than terrestrial. Parts of the area that Maisel focussed on are underlain by light-colored alkaline rocks, which formed through the evaporation of an ancient body of water. The silvery soil of plowed fields almost shimmers, like a ghostly memory of that long-vanished sea. Things like this, and more, in the gallery of images. The German government has launched a new smartphone app to help asylum seekers integrate in their new country. Known as Ankommen (“Arrive”), the Android app is available for free on the Google Play Store, and will launch on iOS soon, according to its website. Ankommen was jointly developed by the Federal Office for Migration and Refugees, the Federal Employment Agency, the Goethe Institute, and Bayerischer Rundfunk, a public radio and TV broadcaster. The app is available in Arabic, English, Farsi, French, and German, and does not require an internet connection. It includes a basic German language course, as well as information on the asylum application process and how to find jobs or vocational training. The app also provides information on German values and social customs, with tips from other non-Germans who live in the country. Note the underlying assumption: refugees will have a smartphone. So far the app has fewer than 1,000 downloads. six years after launching iAd, Apple is stepping back from it. Multiple sources familiar with the company’s plans tell BuzzFeed News that Apple is getting out of the advertising-sales business and shifting to a more automated platform. Apple is phasing out its iAd sales force entirely and updating the iAds platform so that publishers can sell through it directly. And publishers who do so will keep 100% of the revenue they generate. It’s not clear what this means for Rubicon Project, MediaMath, and the other ad tech companies that had been overseeing programmatic, or automated, demand-side ad buying on the platform, but it doesn’t look good. Since everything can be done directly through the updated iAd platform, it’s likely that most of it will. “The big publishing groups will just fold programmatic buys into the stuff they’re selling across all their properties,” one source explained. iAd sales team members will be offered buyouts and released into the wild. The move is coming soon, perhaps as early as this week. How long will it be until the first malvertising via iAd? And what happens after that? I still feel iAd is a bad fit for Apple’s business model. In a previous post, we called the Internet of Things the peace dividend of the smartphone wars, and IoT developers the baby boomers of that period. In other words, smartphone innovation made hardware technology abundant. It’s no longer the bottleneck. IoT breakthroughs will happen not by making more powerful processors or larger memories, but by identifying new applications for the sensors, devices and connectivity. This certainly seems to be the case for wearables, which arguably started with the first Fitbit in 2008 and boomed after the launch of the Pebble and Android Wear in 2013 and 2014. Those were the days of the wearables hype. That hype has now died down. Developers in particular are getting more cautious about wearables. Between Q4 2014 and Q2 2015, the percentage of IoT developers targeting wearables dropped from 28% to 21%. Developers have not turned their back on wearables entirely – many still plan to develop for wearables in the future – but the initial enthusiasm is making way for realism, and a search for truly valuable uses for these new devices. The Pew Research Center has found in recent years that users of mobile and desktop computers are anxious about online privacy. The nonprofit’s latest study, published on Thursday, aimed to learn whether consumer anxiety waxed or waned in specific scenarios. Although users often accept the implicit bargain of the online world — receiving free services in exchange for personal data — service providers can’t take users’ comfort with the arrangement for granted. Privacy concerns are more “case-by-case than driven by broad principles,” said Lee Rainie, Pew’s director of Internet, Science, and Technology Research. The report revealed a gulf between the public and the tech industry, Mr. Rainie said, judging by the plethora of data-gathering gadgets on display at last week’s Consumer Electronics Show in Las Vegas. 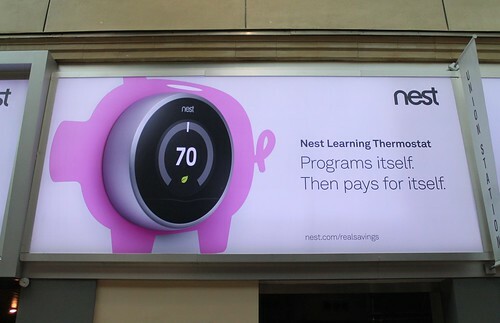 For instance, Nest seeks to connect items in the home–smart thermostats, light bulbs, garage doors and so on — into a system that would collect data to coordinate their operations; switching on lights, for instance, when the garage door indicates that an occupant has returned home in the evening. The January 2016 report suggests that public attitudes could limit such plans. Sure that Paul Graham will get right onto this and set the tech industry straight. Admittedly, this may strike some as a quintessential first-world problem: a thermostat that can’t connect to the web. But for some users, it posed genuine issues. For those who are elderly or ill, or who have babies, a freezing house can have dire health consequences. Moreover, homeowners who installed a Nest in a weekend home, or who were on vacation, were also concerned that their pipes could freeze and burst, causing major damage. The question is, will we look back on events like this as just teething problems – a bit like some of the cloud outages of, say, 2007 – or will they just multiply as more systems interact with slightly jury-rigged ones? And as Bilton also points out, the contracts these gizmos/services are provided under use “arbitration” clauses which hugely favour the company, not the consumer; one lawyer tells him that Nest’s terms of service “are inherently unfair to consumers”. Not biased; inherently unfair. When I first heard of Google Contributor in early November I thought… this is exactly what the ad-industry should be doing, go Google! For those not familiar with the service, Contributor allows users to contribute a certain sum of money and opt-out of bandwidth hogging ads. The service “bids” on the users behalf, and if successful the user can choose to either collapse the unused space or upload their own messages – ingenious! I immediately signed up, dialed my contribution up to$15/mo and started browsing. I configured my contributor account to show me messages from the new wellbeing starutp I’m working on and instead of ads I started seeing all sorts of positive messages. Cool! A few months have since past and I figured it was time to review where my money was going. Boy, did my opinion change. Looking at reports, it turns out I contributed $4.77 to remove 977 ads on websites since I signed up and Google charged me $29.67. The ~$5-CPM paid out seems generous, but I’ll accept that. The $30 CPM and whopping 83% margin is downright theft. Google is keeping 83% of the money. Who knows, maybe something is broken, but as it stands this is a service is a scam. But he could dial down his contribution, surely? In a world though where adblockers are free, it seems somewhat worthy. Also, I calculated how much news sites (well, The Guardian) probably gets per browser per year from ads: $1.14. Errata, corrigenda and ai no corrida: SATs (Standard Aptitude Tests) are very useful, apparently. A thing of beauty – and an endangered species? Image by bozontee on Flickr. I’m charlesarthur on Twitter. Observations and links welcome. it appeared her payment had arrived too late as well: By the time I got home from Greenpoint, her CryptoWall ransom had been raised to $1,000, and the $500 in Bitcoins she had deposited had vanished. In a panic, she wrote to Mike Hoats asking for advice. What he told her sounded crazy to me. Use the CryptoWall message interface to tell the criminals exactly what happened. Be honest, in other words. I happen to have ended up with two Lumia 1020s – one is the workhorse that I’ve used almost every day for eighteen months, while the other is an AT&T model that doesn’t work on UK frequencies and so had hardly been used at all – just the odd test here and there. So, why not try looking at the same screens of content on both the ‘old’ 1020 and the ‘as new’ 1020? Would I be able to tell any difference? Helping me were my family, who each voted on which screen looked clearer and crisper, without being told of the reason for the test or what they should be looking for. Each phone was set up with the same app, the same content and the same ‘Automatic’ brightness setting. Minor concerns were that the ‘old’ 1020 was on the Developer Preview programme and thus had a slightly newer version of the OS. the very pentile nature of the 1020’s screen (and remember the same will be true for devices like the 925) means that a lot of the detail is being handled by the alternating red and blue sub-pixels, effectively edging the smartphone screen down from 768p to a very humble 384p. 18 months doesn’t seem like a long time. Xiaomi, the Chinese smartphone maker that raised $1.1bn last month, has confirmed that it sold 61.12m phones last year, bringing in an apparent revenues of 74.3bn CNY (US$12bn) in the process. The new figures were released by CEO Lei Jun on Weibo and are right in line with the company’s expectation for the year. Xiaomi sold 18.7m devices in 2013, and 7.2m in 2012, so the four-year-old company is continuing to grow its business at a rapid rate — its recent funding round valued it at $45bn and it is now the world’s third largest smartphone maker. Great! Although note that those numbers mean it sold fewer in calendar Q4 than Q3 (Ben Bajarin charted it here – from 18.1m to 17.1m. Why? No explanation given, but (you’d hope) the venture capitalist investors must have known when they piled in. Bajarin reckons (and it seems very likely) that they fell out of the world’s top five smartphone makers in Q4. So where’s Xiaomi going? Into multiple smart devices – phones will quickly get played out – but I don’t see any chance of them coming to the US or Europe with a phone in 2015. They’d get fried over the intellectual property issues relating to smartphone patents, where they’ve already been burnt in India. 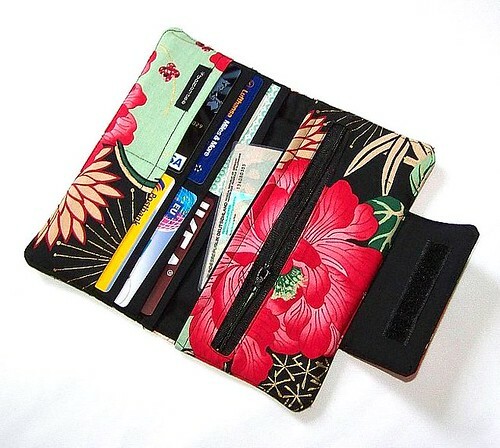 the wallet, that great talisman of adult life, is heading for extinction. As a day-to-day essential, it will die off with the generation who read print newspapers. Most of us, as children, played shops with Fisher Price tills, counting out the plastic coins and swapping them for plastic tomatoes. And we have grown up, and continued to do real shopping, in almost exactly the same way. But that kind of shopping – where you hand over notes and count out change in return – now happens only in the most minor of our retail encounters. Buying a bar of chocolate or a pint of milk, from a cornershop or a train station kiosk. At the shops where you spend any real money, that money is increasingly abstracted. And this is more and more true, the higher up the scale you go. At the most cutting-edge retail flagships – Victoria Beckham on Dover Street, say, or Burberry on Regent Street – you don’t go and stand at any kind of till, when you decide to pay. The staff are equipped with iPads which they can whip out and use to take your payment while you relax on a sofa. She has a very good point. Also, what will kids do shop-play with in a generation’s time? Will they wave their plastic phones over their plastic readers to say they’ve bought something? Correction: This post originally gave incorrect dates for the introduction of radio and television technology and the invention of the cell phone. It also mis-labeled the web as the internet. We regret these errors. Correction: Many of the key elements of Maarten de Jonge’s story have been disproven by subsequent reporting (particularly by Slate). There is no evidence that De Jonge actually booked a ticket on either flight. We’re sorry for repeating unverified claims. Getting hoaxed is so dangerously easy for journalists online now. But some bring it on themselves. Now read on..
2014 is over, but the Macalope is still cleaning up the mess from the crappiest New Year’s Eve party ever. Because as 2014 wound down, tech sites got wound up about some survey results. Business Insider‘s Julie Bort knows the score: It’s Samsung a billion and Apple zero. Or, well, 81 to 79, according to the American Customer Satisfaction Index. The Macalope is great at this sort of riffing, but there’s a serious point here. As gets pointed out, Business Insider sourced this from Engadget, which sourced it from BGR, and yet none of them looked to see quite when the survey was carried out by ACSI. Turns out it was in May (you can see the unchanged scores – Samsung 81, Apple 79 – that are quoted). There’s huge amounts of guesswork rolled into the BI piece and another at Hot Hardware (“#bendgate may have affected the scores”). All based on a survey from seven months ago. And people wonder why “tech sites” didn’t get the Snowden leaks. Vinnie Omari, an alleged member of Lizard Squad, arrested by the police investigating PayPal thefts and cyber-fraud offences occurred in 2013-14 while raiding his London home. Law enforcement officials reportedly seized phones, laptops and an Xbox from his home. “The arrest is in connection with an ongoing investigation into cyber-fraud offences which took place between 2013 and August 2014 during which victims reported funds being stolen from their PayPal accounts,” Thames Valley police said in a press release. “They took everything… Xbox One, phones, laptops, computer USBs, etc.,” Omari said in an email to the Daily Dot, who broke the story. The Federal Bureau of Investigation (FBI) is also reportedly investigating another Lizard Squad member named Julius “Ryan” Kivimaki a 17-year-old teenager, for his connection to the alleged DDoS attacks against Xbox Live and PlayStation Network. He was arrested by Finnish authorities later this week.